Chambers On Nut is a condo project developed by SC Asset Corporation Public Co., Ltd., Chambers On Nut has 8 floors and contains 487 total units, Units range from 1 bedroom to 1 bedroom. Chambers On Nut at Bang Chak, Phra Khanong has the following facilities: cctv, fitness, garden, parking, playground, security and swimming pool. Local amenities include Transportation close to public transport stations of BTS On Nut. 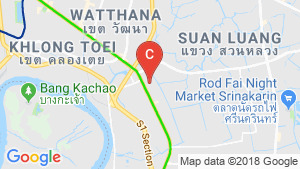 SC Asset Corporation Public Co., Ltd. has also developed projects such as Centric Ari Station, Centric Place Ari 4-Phaholyothin, and Centric Ratchada-Suthisan. 1 Bedroom - Chambers Onnut Station. Chambers Onnut - Studio 3. Chambers On Nut Station / New project near BTS Onnut 230 m..